CNC vs Manual Machining on Simple Parts. Think of a CNC as a Manual Machine with DRO’s and Power Feeds on all axes. 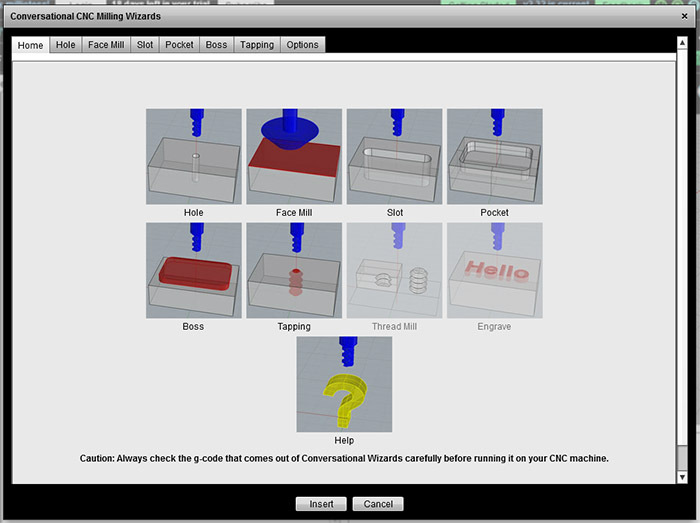 Now add a simple graphical interface to set up all the common manual machining operations. Use simple point and shoot Wizards to generate quick g-code. 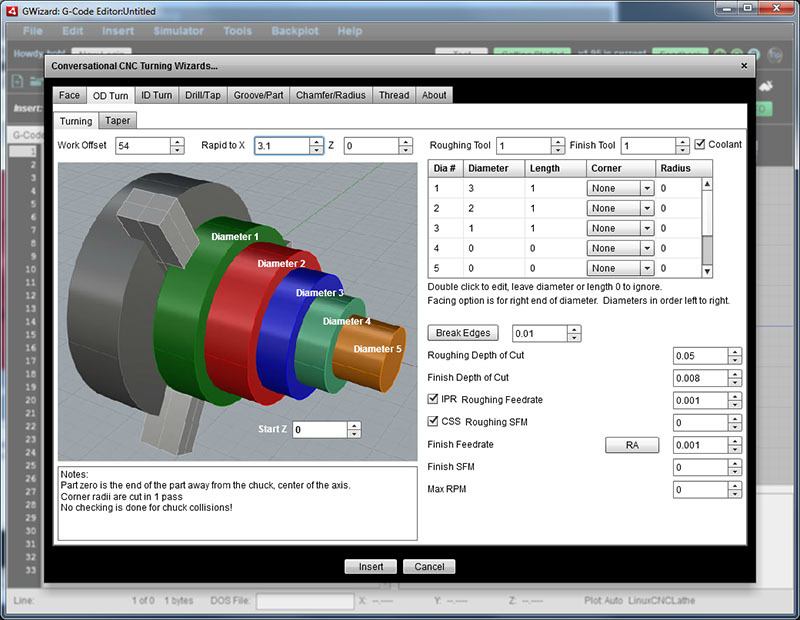 No CAD drawings, no CAM, no complex g-code programming–perfect for quick projects. 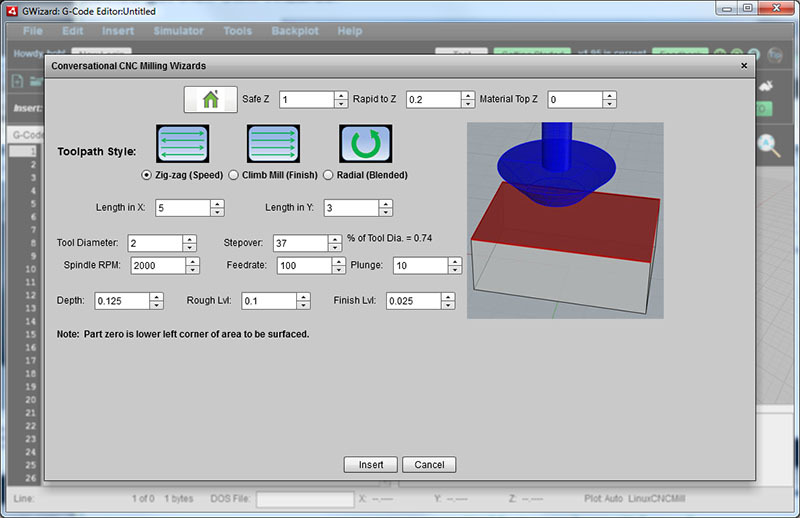 Built-in Module of G-Wizard Editor.